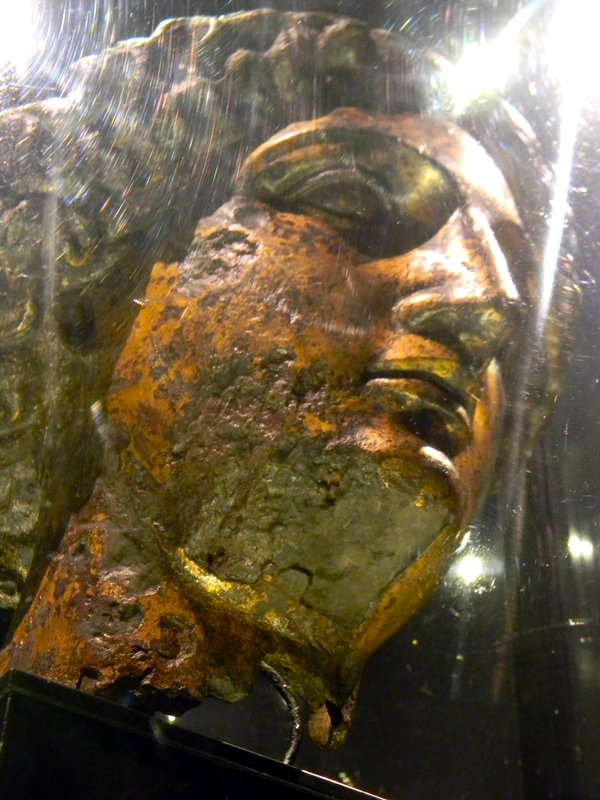 One of the coolest things about this country (and all of Europe, really) is the history. I’m pretty sure that prior to coming here, the oldest building I’d ever seen only dated to the early 18th century. Maybe Massachusetts Hall at Harvard. Even the fort in my hometown that was built in 1839 seemed ancient to me (to be fair, forts had been erected on that site as early as 1755 and they were just destroyed a few times by the French… and some Americans… and the British… so there’s a little more history than the 1839 date suggests). Compare those buildings to what I saw yesterday, when I stood in the remains of a Roman temple and spa dating back to the first century AD and finally got to see the mysterious arrangement of rocks that’s been standing in Wiltshire for millennia. Stuff from the 18th century seems like such small potatoes in comparison – it’s a whole different historical ballgame here. As with my London post, I’ll quit commentating and let the pictures say their thousands of words. 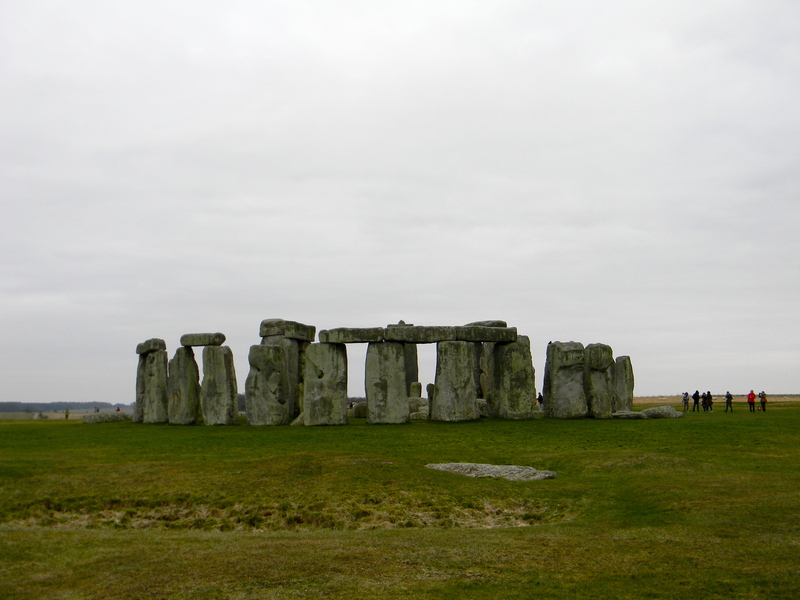 I keep thinking about how “old” I am because I’m all of 20, but Stonehenge is thought to be 4000 to 5000 years old, so I should probably shut up. 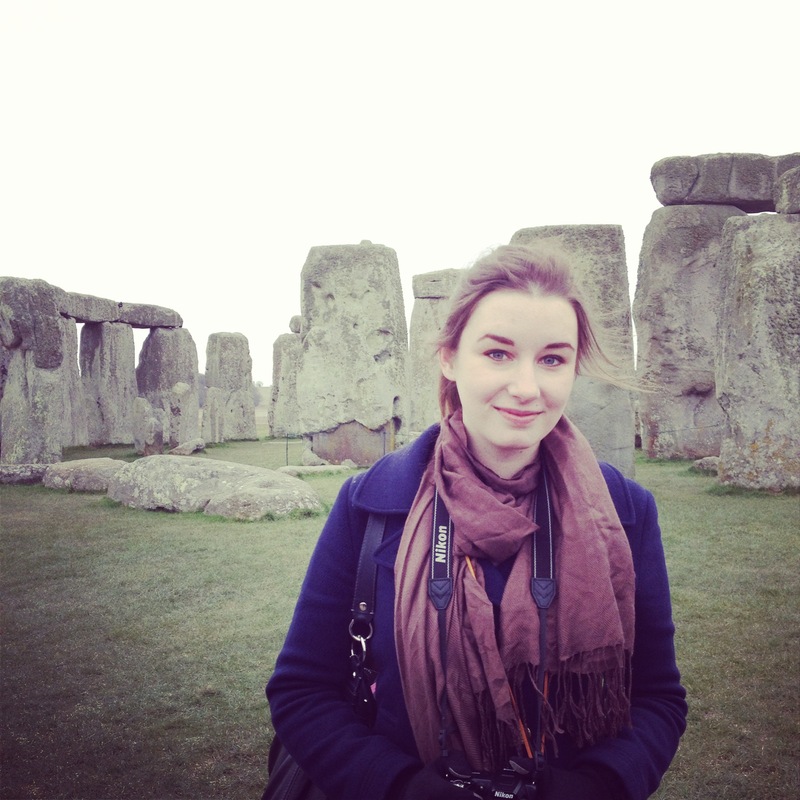 Stonehenge from a different angle (and without an Instagram filter and my dumb face obstructing it). 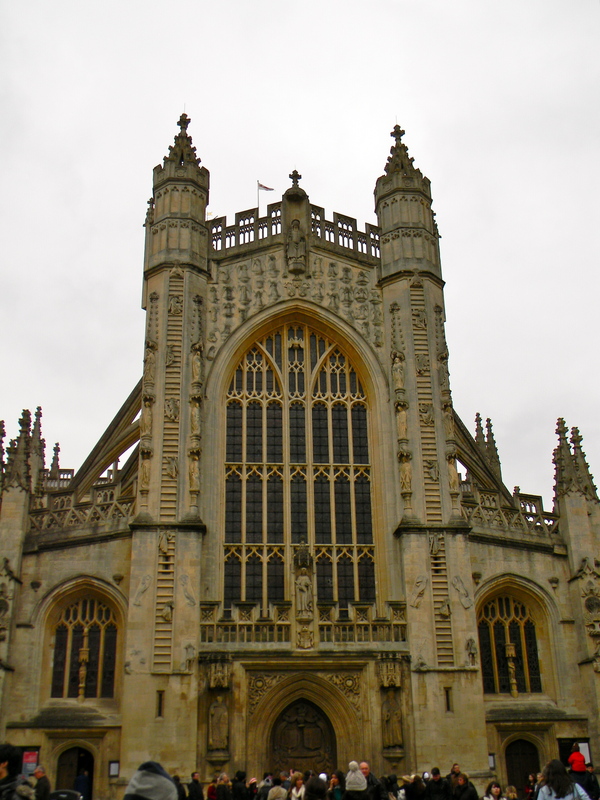 The exterior of Bath Abbey, founded in the 7th century. 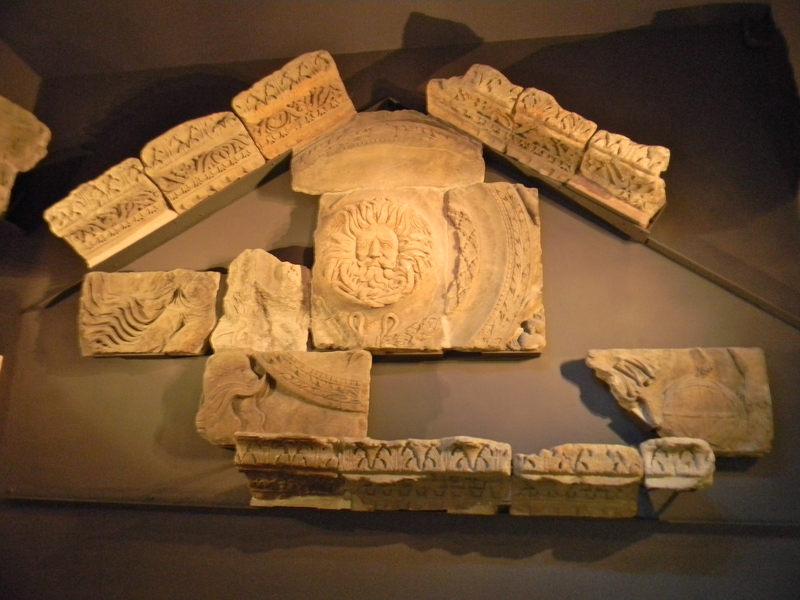 The reassembled pediment of the temple at the site of the Roman Baths. The steps leading up to that not-so-historic entryway were at one point the steps into the temple. 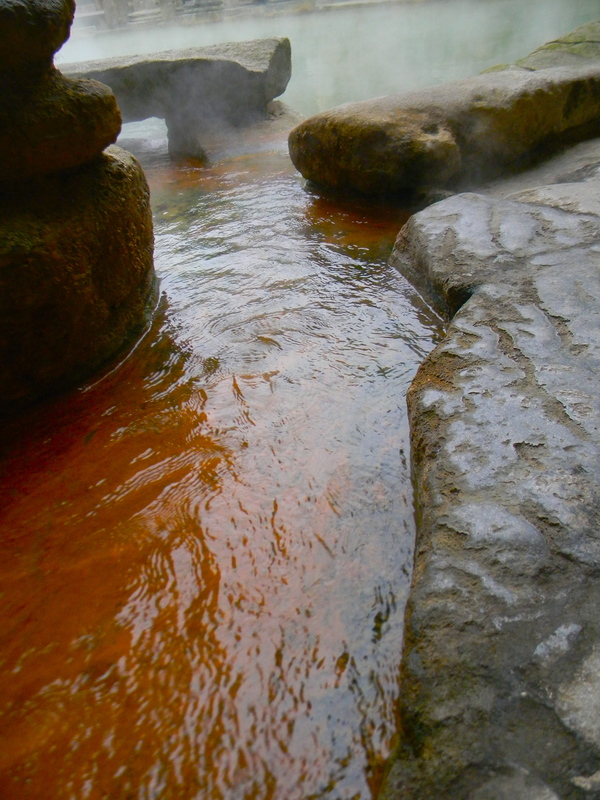 You can see the steam rising from the naturally hot water of the Great Bath. Obviously, despite a couple of signs that advise visitors not to touch the water, I touched the water. It was freezing out, was I really supposed to pass that up? For the record, it’s the exact perfect temperature for a bath. 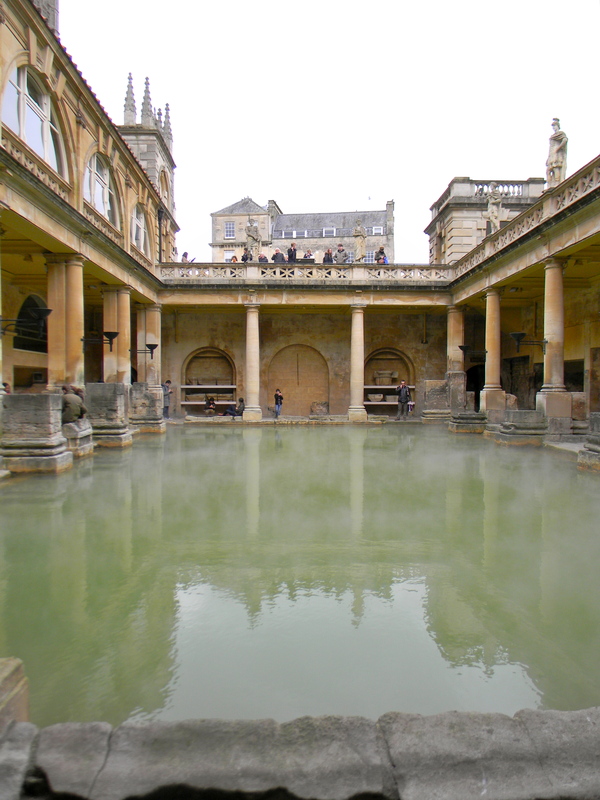 Forever jealous of the ancient Romans who actually got to bathe there. 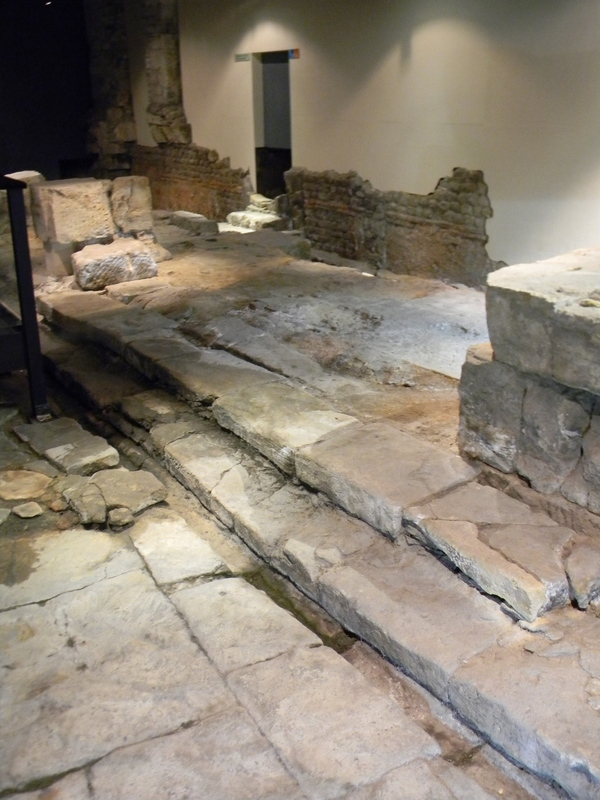 You can see the water flowing from what I think is the original Roman pipeline into the bath. Apparently the pipes are lead. Maybe that’s why they want to keep people from being in contact with the unpurified water. They do have a fountain inside that lets you drink a purified version, which is very warm and tastes very much of sulfur. After touring the Roman Baths, we were free to explore Bath for a couple of hours. 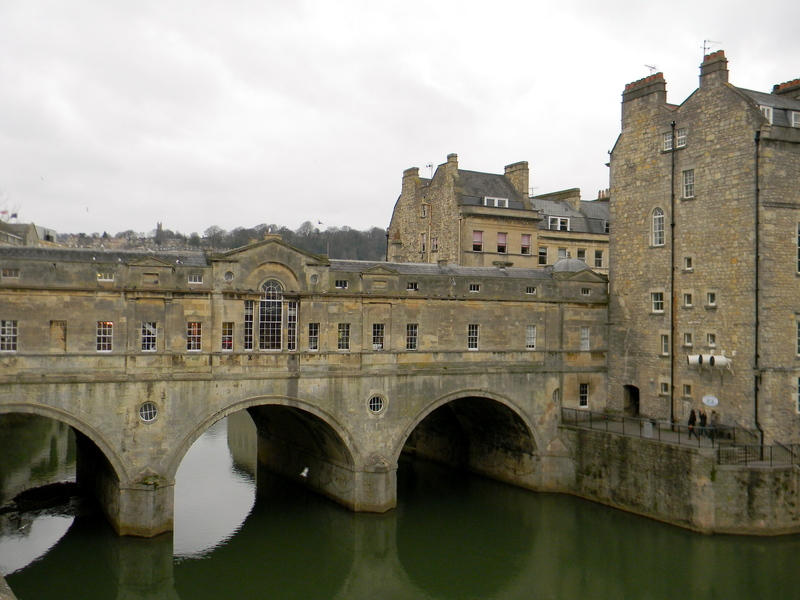 We had to go see Pulteney Bridge over the River Avon – instead of typical barriers, the bridge is lined with shops. From the vantage point of the road running across it, it just looks like a normal street. We also walked over to see the Royal Crescent, a fancy 18th-century housing complex that Wikipedia describes as one of the “greatest examples of Georgian architecture” in the UK. 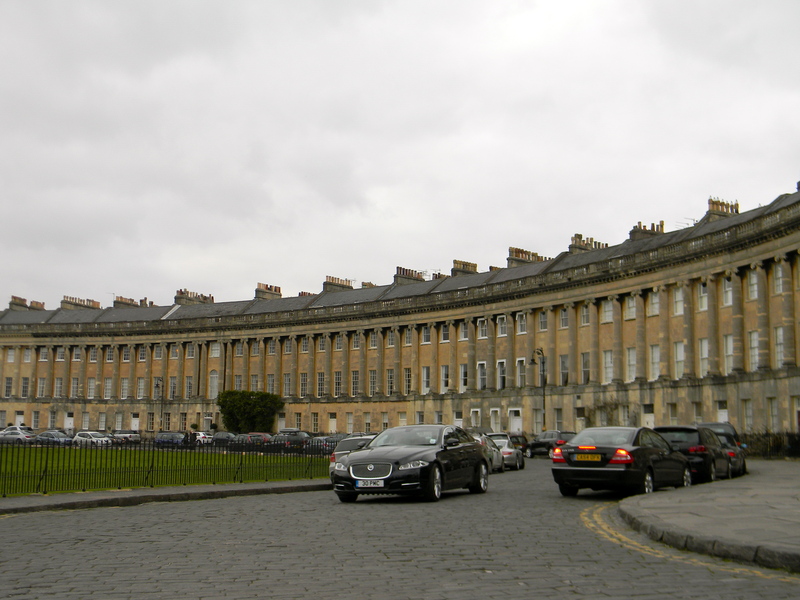 If you’re ever in England, Bath is a wonderful place to visit. It’s a beautiful town with such great history (we didn’t even make it to the Jane Austen Centre!). Even if you’re not as inclined to geek out over history as I am, it’s worth a visit to go to the UK’s only spa that’s fed by a natural hot spring. My friends and I have already decided we’re going to go back to decompress during exams in the New Royal Bath. I’m almost looking forward to finals just because of that.